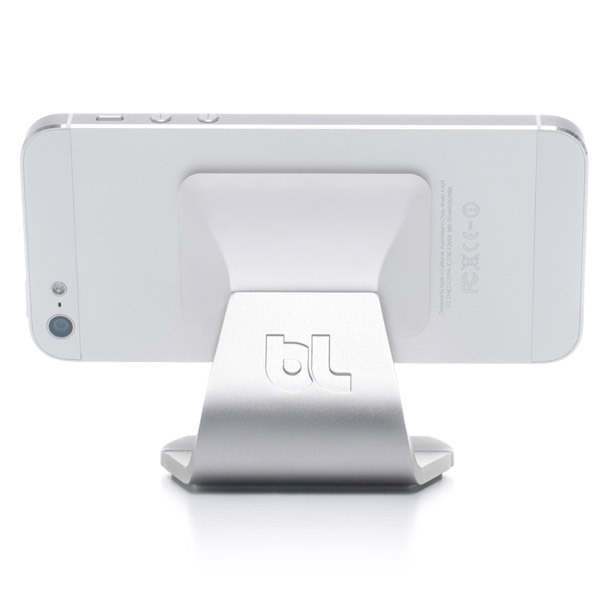 Description: Milo is the ideal place to mount or rest your smartphone. 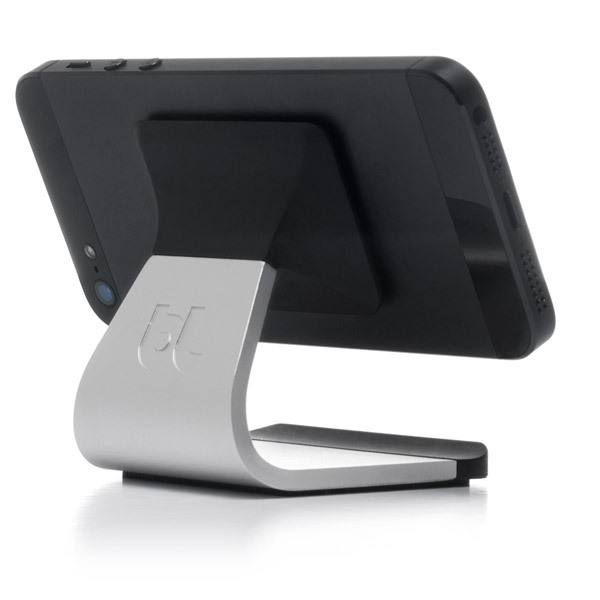 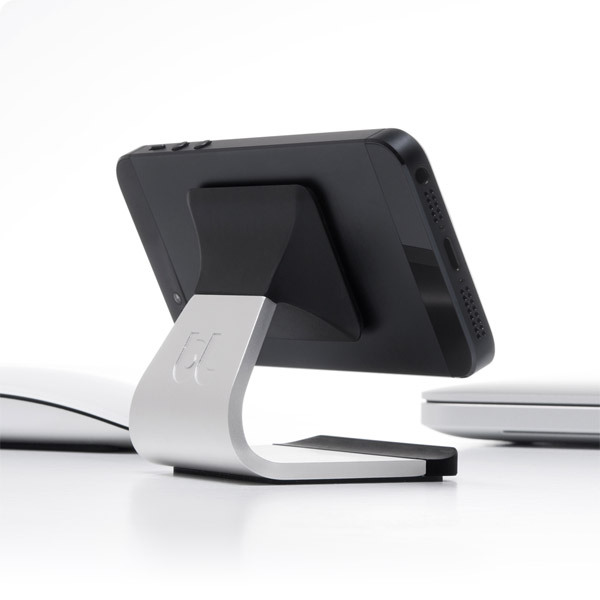 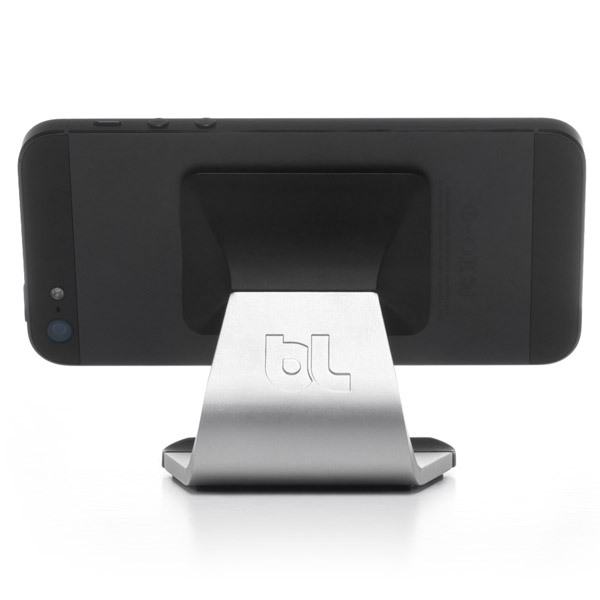 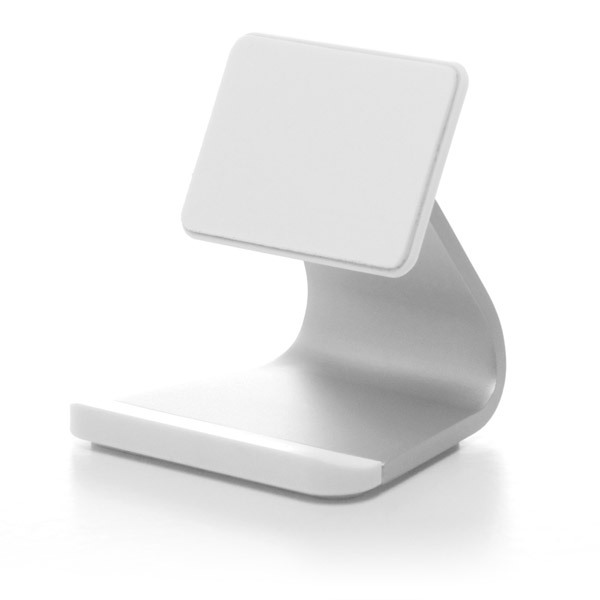 Perfect on the desk, countertop or nightstand, Milo is ready to hold your device while in use or at rest. 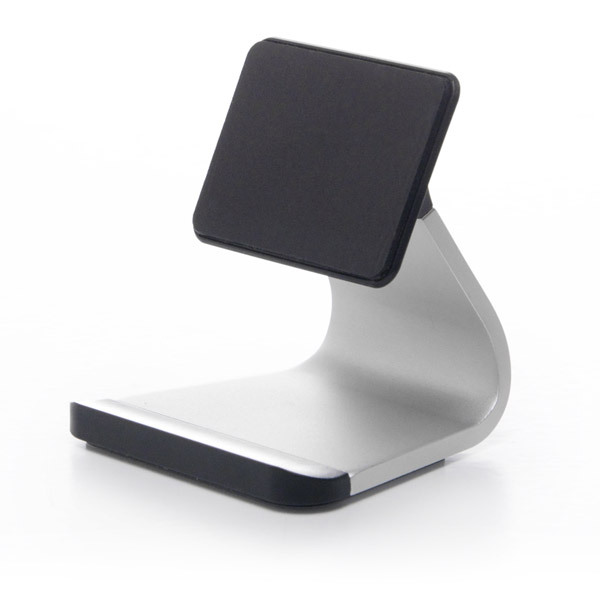 A minimal, yet very functional desktop accessory, Milo is perfect for hands-free conferencing, viewing videos or as a go-anywhere docking station. 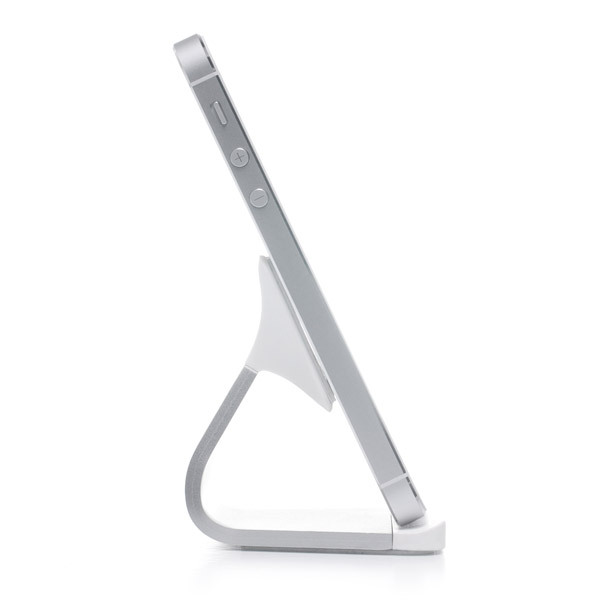 This compact and light-weight accessory incorporates a new high-tech material called micro-suction, an infinitely reusable and cleanable surface that instantly clings to any smooth, hard surface with just the right amount of grip. 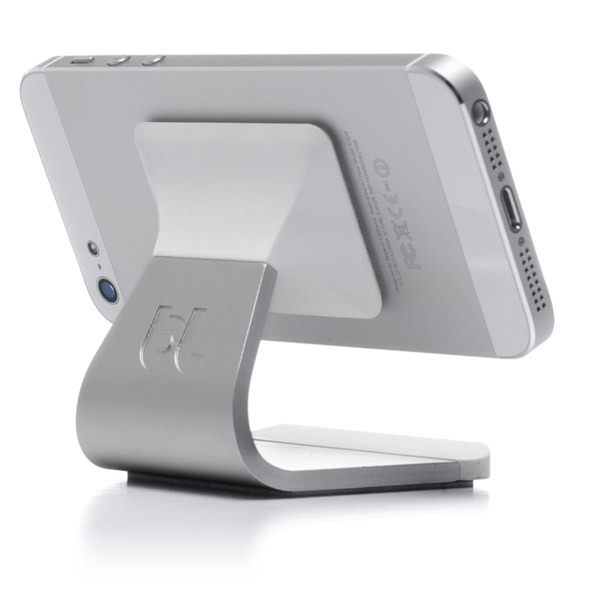 And best of all, micro-suction will never leave any residue on your devices or work surface. 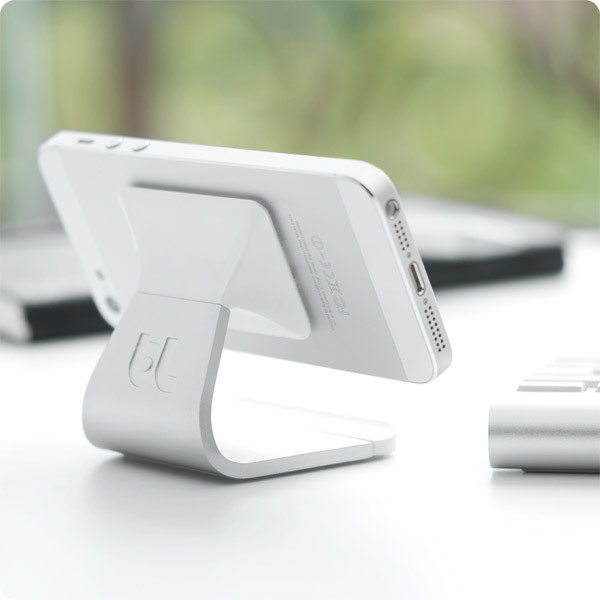 Milo can be used comfortably with iPhone, iPod or other devices with at least a small portion on the back that is smooth and flat. 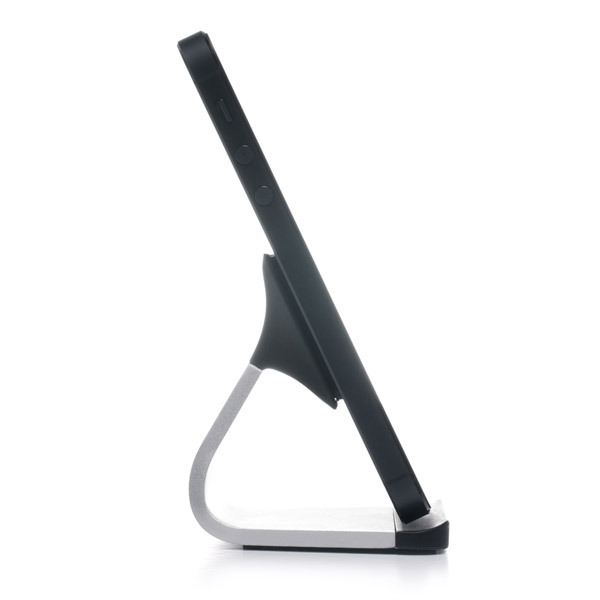 Devices without a hard and flat back may also be used with Milo by resting on base and backrest. 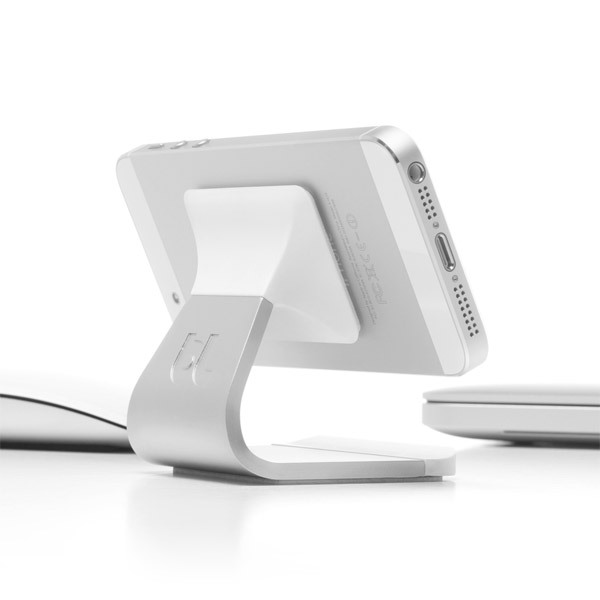 Devices can be placed at angle or orientation you desire. 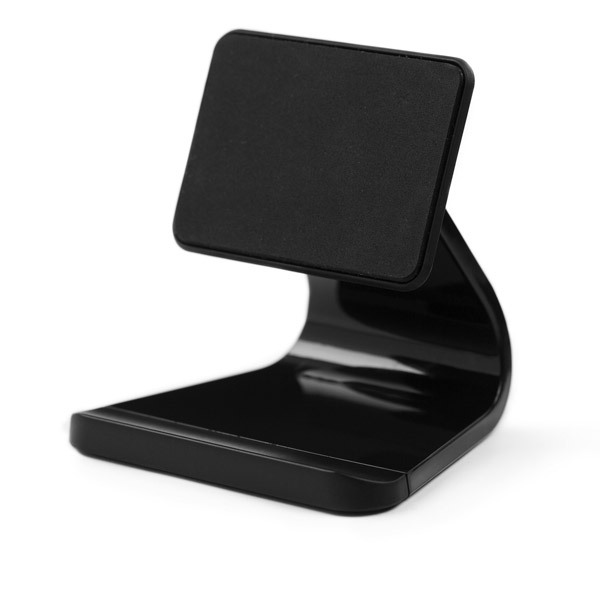 Place the back of your device against Milo's mounting pad - hold for a second to ensure adhesion, then freely browse, place calls or enjoy your favorite app. 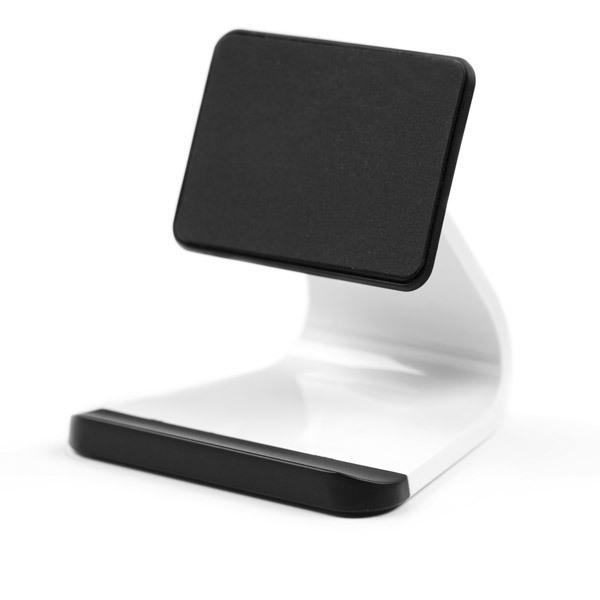 Simply twist to remove your device from Milo, and / or to remove Milo from work surface.